When seventeen-year-old Rosalynn Young pictured her summer vacation, she didn’t think she would be spending it working as a maid at the Millennium Hotel. She imagined painting and gardening. But soon, in spite of her disappointment, she meets Victor Gregoire. Wayward and enigmatic, he sends a chill up her spine. Everything about him feels foreign–unearthly. Dangerously drawn to Victor, Rosalynn willfully ignores his volatile mood swings. When she impulsively enters Victor’s room, she finds a journal dating back to the 19th Century and a photograph of him from August 14, 1874. He’s hiding something sinister and she’s desperate to find out what, even if it means risking everything. 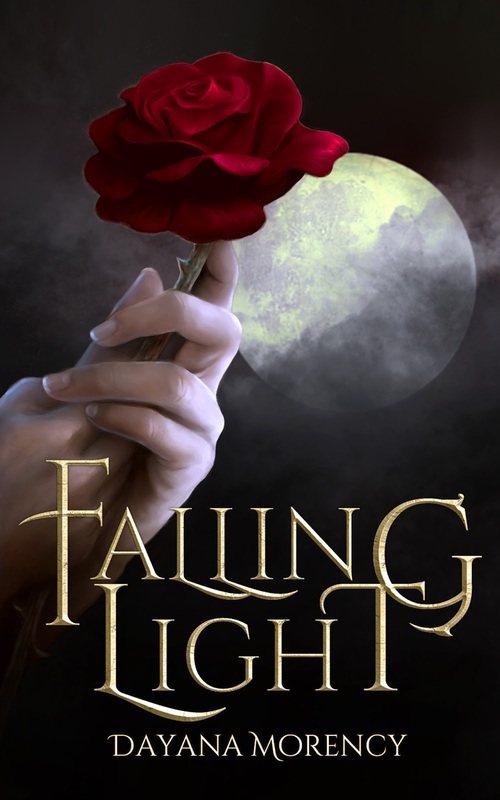 But Rosalynn fails to realize that her attraction to Victor comes at a price and she soon learns some secrets are better kept hidden. She’s in for the summer job of a lifetime. I’ve had nightmares for years now—since the day of the fire. I dreaded falling asleep and tried my best to avoid it as long as I could. I hated the feeling of cold, sticky tendrils pulling me down into a deep, dark oblivion. Tonight was no different. I went to bed around eleven o’clock, and soon I was drowning, plunged into the bottomless pool of fiery depths. 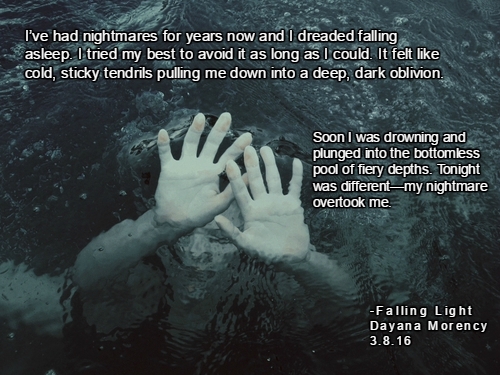 I gasped for air, struggling to come afloat, and I woke to the sound of someone screaming. Sitting upright, I yanked the covers from around me. The clock on my dresser read 1:45 in the morning. I crawled out of bed, my eyes half shut as I walked out of my room. I dragged my feet down the hall to Miriam’s bedroom because it sounded like the shriek had come from there, but I found her snoring. I wiped my eyes, confused. If it wasn’t her screaming that woke me up, then had I imagined it? I tiptoed downstairs into the kitchen for a glass of water. I swallowed a mouthful, wincing with pain. My throat throbbed painfully. I gasped suddenly, realizing that tonight my nightmare overtook me—it was me screaming.